The Russian Independent Television Company “AB-TV” (“Art-Business TV” till 1999) was founded in September 1993. Television Company “AB-TV” works almost in all genre formats of modern television. Meanwhile it’s constantly building up its creative potential. Television Company produces documentaries, television programmes, commercials, presentation films and collaborates with different television channels and firms. Our partners include the following TV channels: Russia 1, Russia K (“Kultura”), NTV-MIR, TVC (TV Center), “Stolitsa”, “Doverie”, “Zvezda”, “Bibigon”, “Domashny”. Our television productions and films have been awarded prizes at Russian and international TV festivals and constantly get positive press reviews and high ratings. Highly qualified specialists of modern television work for our company. They are efficient professionals on top of their job. They look for new forms and master new technologies. Above all, they love their work. The Television Company renders technical services for the production of professional filmmaking in all modern television formats, video editing and production of presentation DVD-ROMs, and also produces video shootings of all official and private events at the request of the Customer. We possess a large video archive, including rare newsreel and unique video shootings that we are ready to share. Highly professional directors, cameramen, video editing engineers, production coordinators with extensive experience and expertise in public and commercial film and television organizations work in the Television Company. Director General of this Television Company is Yakov A. Kaller, member of the Russian Filmmakers Union, Honorary Filmmaker of Russia, Honorary Cultural Worker, corresponding member of International Academy of Social Sciences, member of Presidium of Eurasian Academy of Television and Radio. Yakov Kaller, who has got the reputation of an efficient manager, created a lot of works, marked with professional awards. Among them are TEFI, National award “Lavr”, “Zolotoy Buben”, “DetectiveFEST”. Beside that, on April 30, 2010 Director General of the Television Company “AB-TV” Yakov Kaller was decorated with order “For Life on Earth”, established by Joint Presidium of International Academy of Social Sciences and International Academy of Sponsorship, at the solemn national social awards ceremony in the State Receptions Hall of President Hotel, in the presence of eminent Russian scientists, politicians, cultural and art workers. 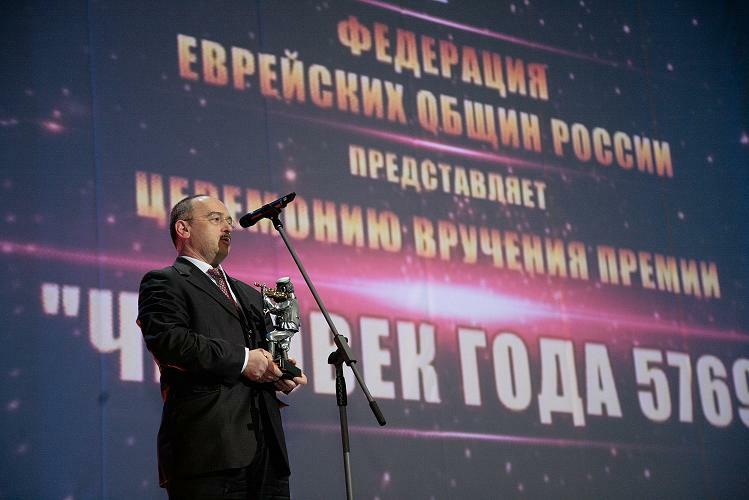 Among the awards, most dear to Yakov Kaller’s heart is FJCR Award (Federation of Jewish Communities of Russia)“Person of the Year 5769” in the nomination “Television” for the film “Kiselev’s List”, that tells about a heroic deed of guerrilla commander Nikolay Kiselev who managed to take out more than 200 inhabitants of the Jewish settlement from the German rear in 1942, thus saving their lives. Yakov Kaller mentioned in his speech that it has been the most difficult film in his life. He said: “Still I am grateful to the Lord that He has given me an opportunity to meet the participants of those events”. Yakov Kaller also expressed hope that an appeal to the leaders of the Russian Federation and Moscow to award Kiselev posthumously and commemorate his memory, that FJCR and he had prepared, would be satisfied. The solemn ceremony of Annual Award “Person of the Year 5769” of Federation of Jewish Communities of Russia took place in the State Kremlin Palace on December 20, 2009. Chief Rabbi of Russia Berel Lazar, President of Federation of Jewish Communities of Russia Alexander Boroda, famous political and public figures, popular actors and famous creative teams participated in the ceremony. FJCR Award “Person of the Year” was established in 2002. It is given to people who made a real and recognized contribution to the development of cultural and social life of the country with their activity regardless of their nationality or religious beliefs. TELEVISION COMPANY “AB-TV” IS ALWAYS OPEN FOR BUSINESS AND CREATIVE COLLABORATION.